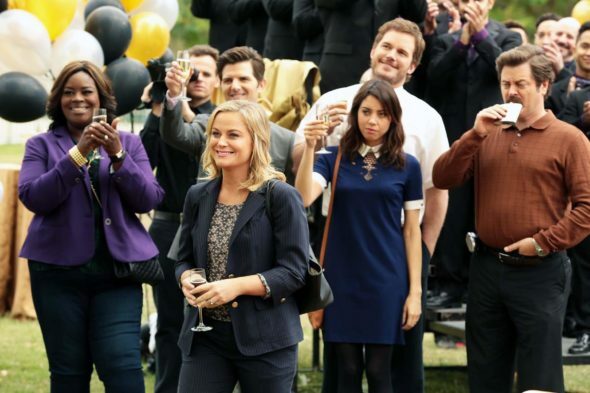 Is Parks and Recreation coming back? The cast of the NBC TV show recently discussed the possibility of a revival, Variety reports. The comedy series revolves around the employees of the Parks and Recreation Department in Pawnee, Indiana. The cast includes Amy Poehler, Rashida Jones, Aziz Ansari, Aubrey Plaza, Adam Scott, Nick Offerman, Jim O’Heir, Rob Lowe, Retta, and Chris Pratt. The show ran seven seasons before ending in 2015. What do you think? Are you a fan of Parks and Recreation? Would you watch a revival?